If you’ve come to this site deliberately you’ll probably know me as the webby bloke on Steve Wright’s show on Radio 2. 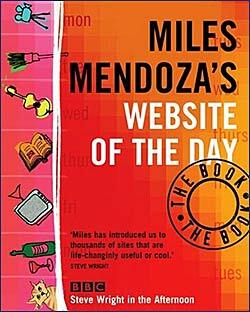 This site was launched in May 2004 as a kind of companion to the Website of the Day pages on the official Radio 2 site. You’ll find a lot of the same content here, but this isn’t part of the BBC site, so bear in mind that what you read here is my opinion, and not that of the BBC. * To provide more information about the Website of the Day selections than I am able to do on the Radio 2 site, and to make it easier for you to find links to those sites. All links are archived here both by date and by category. * To show how easy it is to create a simple site using a ‘blog’ service. For those that don’t know, blog is short for web log. At its simplest a blog is a web-based, regularly updated journal, on which the newest content always appears at the top of the page. Blogs also typically carry copious links to other sites. Some blogs are updated many times a day, some only when their owner feels they have something to say. And blogs usually provide a space for readers to add comments, making it easy for readers to interract with a site’s creator. Website of the Day’s guide to some of the different Blogging services is here. My plan is to add links to this site as I find them, so hopefully you’ll find far more good stuff here than I am able to cover on the radio. Please feel free to email me or use the comments system on this site to suggest sites for me to feature on the programme. When posting a comment please bear in mind that your suggestions (and your email address if you enter it) will be visible to other users of this site.